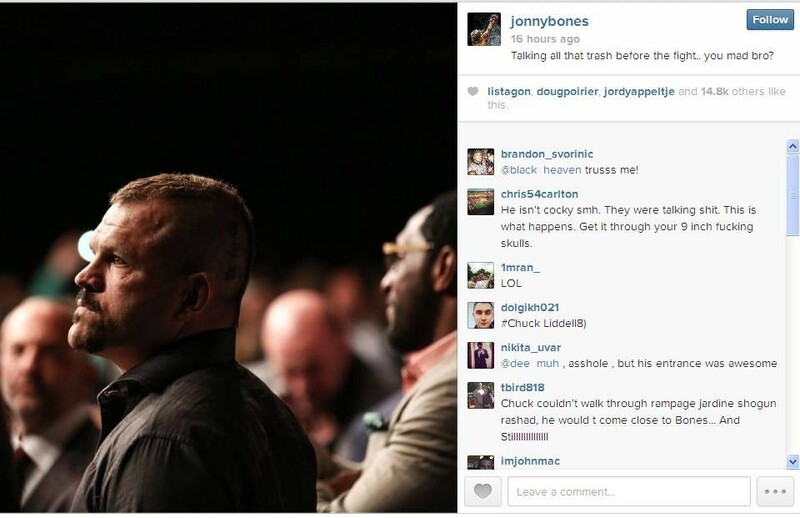 After dominating Glover Teixeira Saturday night, Jon Jones must have been feeling pretty good about himself. With that in mind, he sent a jab in the direction of Teixeira’s mentor, Chuck Liddell. The Iceman spent much of the pre-fight buildup alternating between telling everyone that Glover was going to knock Jones out; and telling everyone that he (Chuck) would have easily defeated Jones if they ever met. All in all, it was a pretty good zinger. I didn’t think it was over the top or disrespectful—although many fans will twist it into just that. Jones endured several weeks of Liddell’s talk, and he responded by A) winning the fight easily, and B) a simple yet effective slam. I’d say the score is settled.